Virtual reality is coming. 2016 will see the release of the first serious consumer VR headsets for 20 years. In the first quarter of the year, VR pioneers Oculus (a subsidiary of Facebook, since a bn (£1.3bn) buyout in March 2014) will launch the consumer version of their Rift headset to the world. In April, Taiwan’s HTC will launch the Vive, another PC peripheral developed in conjunction with gaming firm Valve. And at some point in the year – likely to be the first half – Sony will launch its PlayStation VR, an add-on for the Playstation 4, which will bring VR into the living room. Those headsets aren’t the first to market, by a long way. In 1995, Nintendo released the Virtual Boy, a monochromatic headset that promised to offer true 3D graphics in gaming for the first time. A clunky, desk-mounted device that sold for 0 (0 in 2015 dollars, or £189) and gave users splitting headaches, it sold barely a tenth of what Nintendo had hoped and was discontinued less than a year later. The Virtual Boy was the most prominent failure of the first wave of virtual reality, but all shared the same fate. The technology simply wasn’t there: screens weren’t high-resolution enough to be placed that close to eyes, they couldn’t refresh fast enough to present a smooth image, and the processors behind them couldn’t push enough pixels to render a convincing world. The failure of the 90s wave of virtual reality was so complete that it killed the field for a generation. Much of the credit for the revival of VR has to go to one person: Palmer Luckey, the founder of Oculus. Launched to the public with a Kickstarter campaign, his Rift headset raised .5m in 2012. It set off the wave of interest in the field that continues to this day. An outsider to the technology industry, Luckey wasn’t party to the received wisdom that VR was a fool’s game. He thought it was cool, and so did more than 9,000 others. But just as important, in a roundabout way, was the smartphone. Although no one would have guessed it as Steve Jobs stood on stage and demonstrated the first iPhone, the technology required to make a top-tier smartphone has a remarkable similarity to the technology required to make convincing VR. High-resolution screens, accurate motion sensors and compact form factors are all great in a modern smartphone, but they’re also step one in making virtual reality, well, a reality. This was first illustrated in 2015 as Google Cardboard and the Samsung Gear VR bootstrapped a cheap-and-cheerful form of VR using smartphones. By slotting a phone into a head-mounted display, they offer access to simple virtual worlds. Google Cardboard, for instance (literally a laser-cut piece of cardboard, used for holding a compatible smartphone in place) was given away for free with the New York Times in November, paired with a VR app from the paper used “to simulate richly immersive scenes from across the globe”. But where the coming crop of headsets differ from these is in quality. Simply put: they’re really, really good. A modern smartphone provides a strong base on which to build a virtual reality headset, but it can’t hold a candle to a dedicated device. And VR headsets have been getting better just as fast as smartphones have been improving. When I first used an Oculus Rift in 2013 I was underwhelmed. The unit, which was the second public prototype, was clunky and ugly even before I put it on. Wearing it felt like having uncomfortable ski goggles clamped to my face, and the resolution of the screen was low enough that it felt like staring at the world through a mesh door. The demo – which featured me strapped into a roller-coaster – did little to help, with its comparison to a fairground ride serving only to emphasise the gimmicky aspect of the whole thing. The game, Eve Valkyrie, has been in development for two years, beginning as a tech demo for the platform in 2013. It’s now set to be a launch game for the Rift and for Sony’s PlayStation VR, and for anyone who’s harboured secret dreams of dogfighting in space (a group surely larger than ever following the release of Star Wars). But there’s a problem: you will have to take me on my word. VR is notoriously hard to actually sell. A video of Eve Valkyrie, watched on your screen, will look like nothing special – just another space game. Because, without the VR, that’s all it is. A video of me playing Eve Valkyrie would be even worse: a technology reporter sitting in a chair, gurning and writhing, with a bizarre black box strapped to his face. 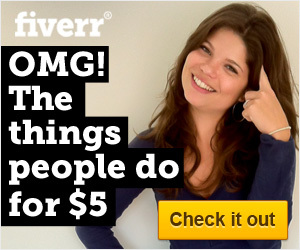 Even if I look like I’m having fun, it’s not the best way of selling the hardware. Game developer Mike Bithell, whose Volume: Coda will be one of the launch titles for the Playstation VR, agrees with the concern, but thinks that the wow factor will be enough to overcome that initial hurdle. “You undoubtedly look very silly wearing these things, but if they can get folks trying them on in shopping malls, or party games that demand to be played with friends, I can see it going big,” he says. Related: What does virtual reality mean for advertising in 2016? Because of that, the early penetration provided by cheaper versions of VR such as Google Cardboard could counterintuitively spoil VR’s chances of taking off. Many who were unimpressed by the smartphone-strapped-to-your-face approach will be unwilling to give VR a second chance, even if future versions are considerably better. Even if it overcomes those hurdles, there’s another one waiting around the corner: cost. Both the Rift and the Vive require a top-flight gaming PC, which costs about £1,000, to power the devices – which themselves are likely to start around £300. Against that, the PlayStation VR, which only requires a £300 PlayStation 4 on top of its own (unannounced) price, is comparatively cheap. As a result, “it’ll remain a super exciting early adopter tech until the price comes down”, says Bithell. “It’s important to remember though that, while the price will be high, we’re not talking ‘buying the first 3D TVs to hit the market’ prices here.” The prices will be probably high enough, however, to prevent an immediate repeat of the last great crossover hit from gaming, Nintendo’s Wii. That’s a shame, because some of the most interesting uses of VR are a long way from traditional gaming. As well as the burgeoning field of 360˚ cinema, which places viewers in the centre of the shot and allows them to look around as they see fit, there’s the looming presence of Facebook in the field. The social network is not the first thing that comes to mind when one thinks of gaming – but that’s not what Mark Zuckerberg cares about either. Gartner’s Blau thinks that “a single year isn’t enough time to get an overall picture of the future of VR”, but that it is “certainly enough time to fully understand how the first few years of VR technologies will do in the hands of consumers”. Even now, with months to go until release, the state of virtual reality tech impresses me. I’ve written it off before, worried that over-promising and under-delivering would combine with the “dork factor” to produce something dead on arrival. Now, I’m only sure of one thing: I want one. If you want me, I’ll be the one in the corner, gurning and writhing with a smile on my face.